Foursquare will start letting businesses capitalize on the enthusiasm of customers who’ve checked in repeatedly by rolling out a way to message them, starting today. Through the “local updates” tool, businesses can send their updates to a pool of users who will be picked by Foursquare’s algorithm based on the frequency and recency of their check-ins and the businesses they’ve “liked” (a feature Foursquare made available with its redesign last month). It could give the nearly 1 million businesses that have claimed their listing on Foursquare a stronger incentive to be active on the platform, since they can place messages about specials and events for free in the activity streams of users who’ve likely already spent money in their stores and had enough of an affinity to want to broadcast their visit to friends. In order to build an audience for the new feature, you’ll need to get some likes and check-ins. Ask patrons to like you on Foursquare wherever you can, online and off. Start integrating it with everything you are doing. Customers aren’t actively going to go search you on social media outlets unless they have a reason to. Require your salespeople to ask your customer if they have checked in on foursquare for a special deal? Refer to Quick-Fire Marketing: The Power of a Check-in for tips and ideas for specials. This new feature, and social media in general, is turning to a more image dominated tool. Foursquare is now allowing businesses the option to add text, a special, and up to three images which you can swipe through in the friends feed of the mobile application. Give Foursquare users a reason to come in by sparking their interest. Display pictures of your restaurants fresh waffles being made or new things on your showroom floor. Showcase things that will help drive customers into your store and make some type of action. Thanks to this new tool and check-in tools available by foursquare, its time to make these features integrate together for your business. Are you currently running a check-in special? Is this check-in special of a certain product? Try taking a picture of this product and posting it to your followers and letting them know what a great deal it is. Or are you currently running a mayor special? Everyone dreams of being a mayor of a venue on foursquare (its like the holy grail of foursquare). What if you posted the picture of the mayor each week calling out your most loyal followers to come oust the mayor. In this new digital age, marketing requires knowledge and skill to reach your target audience in their online social networking arena. It’s not enough to simply create a website, Facebook or Twitter account by yourself and expect your fans to become paying, brand loyal customers. Instead, you need the expertise from a qualified source that knows how to grow your business by helping you reach the more than two billion online customers who are craving information. 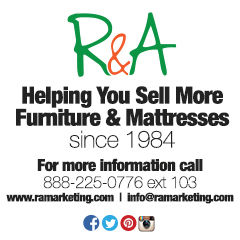 Just Be Sociable with R&A Marketing can help! Lets GET SOCIABLE!